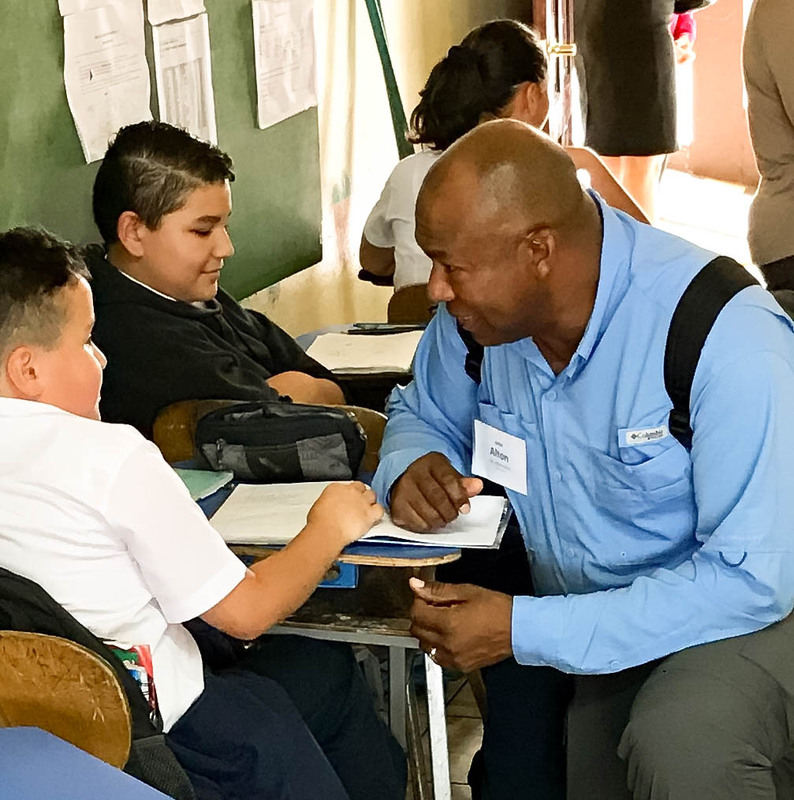 AASA President Alton Frailey with students in Alajuela, Costa Rica. Alajuela, Costa Rica – In 1869, Costa Rica made education both free and mandatory for all its citizens. Lore has it that the country was experiencing economic hard times and could not afford to maintain both an army and a public education system. They chose education and today Costa Rica is one of the few countries in the world without a standing army. They even boast of having more teachers than police officers. We visited the Carrizal elementary school in the mountain town of Alajuela. The school of 600 accommodates pre-school through grade six as well as special education students who attend one of two five hour shifts, a morning and afternoon session. Teachers are only allowed to teach one shift. Based on achievement, the school is level 4, with level 5 being the highest performing schools. The school year runs 200 days from mid-February to mid-December. Class size averages about 32 students per class. Instruction is very traditional with students in desks facing the blackboard in the front of the room where the teacher delivers the lesson. Even so, Costa Rica boasts a 95 percent literacy rate among residents age 15 and older. Alajuela is a coffee bean growing region surrounded by dense foliage and beautiful streams. It typifies the tranquility that Costa Rica is so famous for. The children are happy to see us and look forward to practicing their mandatory English language skills with us. To a resounding cheer, I tell them that they are doing so well that I might take them all back to the U.S. with me. This entry was posted in Education and tagged AASA Executive Director Daniel Domenech, AASA in Costa Rica, AASA International Seminar, AASA Leadership, Dan Domenech, Dan Domenech Blog by Dan Domenech. Bookmark the permalink.